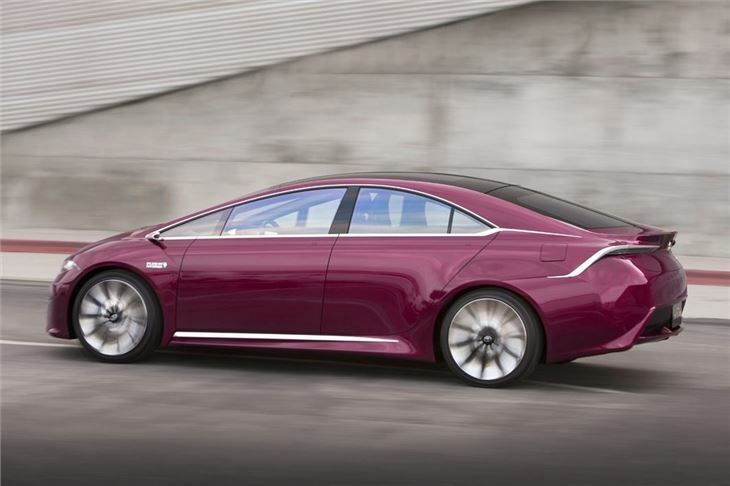 Plug in hybrid, tipped to become next generation Prius. Production 2 - 3 years in future. The NS4 has a hybrid plug-in system and has been designed with reductions in the size of components and a low weight to help fuel economy and efficiency. 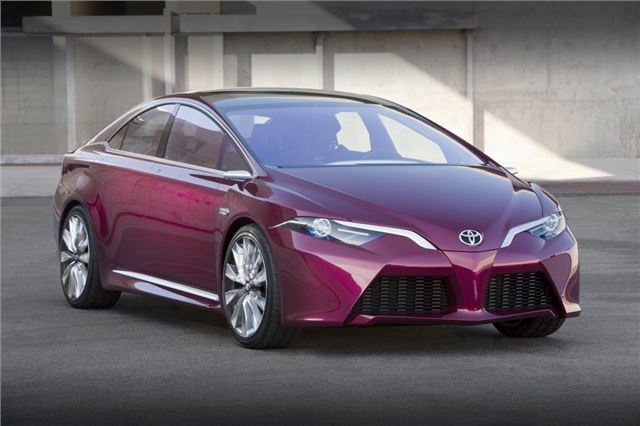 It would also mean better acceleration and a longer all-electric range along with short charge times. The ultimate scenario for any electric vehicle. There are no details on the hybrid system, but Toyota is aiming to improve on the current Prius so you can expect something in the region of 150mpg and CO2 emissions as low as 40g/km. The electric only range will be better to, increasing from 15 miles to around 25 miles, while a single charge will take around 90 minutes. The NS4 is also advanced in terms of technology and communication. Toyota has worked with the likes of Microsoft and Intel with the concept car featuring a human machine interface (HMI) which is centred around a touchscreen with the look of a smartphone. The idea is that the driver can get information quickly without being distracted. The multimedia system also allows the driver to control air conditioning, audio, battery-charge and the satellite navigation. The HMI system is even capable of 'learning' driver preferences to anticipate driver responses in certain situations. There are plenty of new safety system too including a next generation pre-collision system (PCS), adaptive driving beam headlights and a blind spot monitor..
PCS includes a lane departure system and pedestrian collision avoidance, designed to predict collisions and help avoid them. It uses a radar and stereo cameras on the front of the vehicle to detect and react to lane departure, pedestrians and other vehicles. In the event of a potential collision, the system will try to avoid other obstructions by applying the brakes and even changing the direction of the vehicle. The clever stuff isn't just confined to the underneath the skin though. The NS4 also has a new rain resistant 'hydrophobic' coating on the windscreen and windows which causes rain drops to form into semispherical shapes so they run off easier which improves visibility. It also has an anti-solar film with radio-wave transparency that keeps the temperature inside the car down and improves the function of electronic devices. The inner and outer rearview mirrors have been replaced with cameras that provide the driver with a panoramic view of the rear. The rearview camera displays images on a dashboard-mounted screen and provides the driver with a much wider field of vision when compared to a traditional rear view mirror.